Spend this summer lounging & entertaining on your amazing 469 sq ft PRIVATE ROOF TOP DECK w/ mountain views! 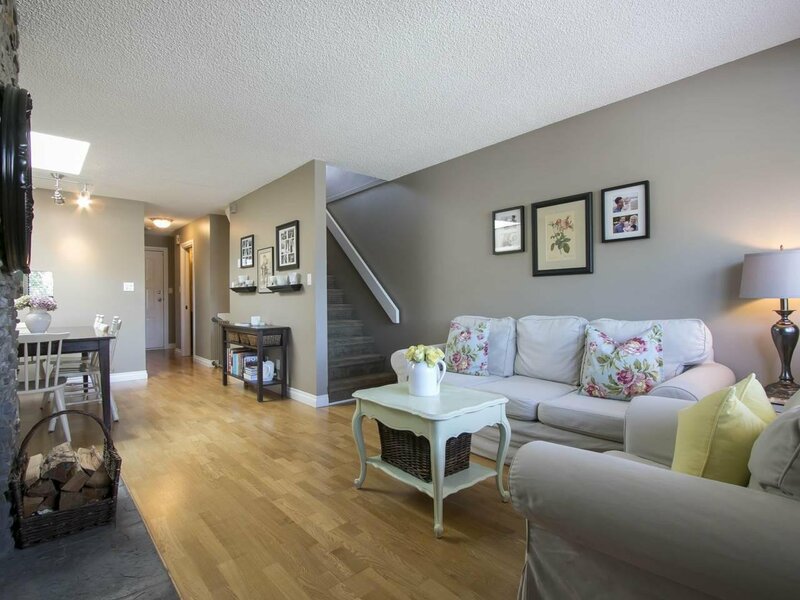 Located across the street from McBride Park, this quiet 2 bed, 1.5 bath townhouse is set back from 4th Ave, away from traffic. Mountain views from living/dining room & roof top deck, skylight in dining room, wood burning fireplace for ambience on chilly nights. 2 levels gives it a house feeling. Walk-through closet to semi-ensuite bathroom. Newer hot water tank & washer/dryer. 1 parking, 1 locker, bike lock-up. Veggie/herb garden planted & maintained by strata...perfect for fresh salads while you unwind on your roof deck! Easy walk to beaches & close to bike lanes & greenway.